Item # 304646 Stash Points: 1,395 (?) This is the number of points you get in The Zumiez Stash for purchasing this item. Stash points are redeemable for exclusive rewards only available to Zumiez Stash members. To redeem your points check out the rewards catalog on thestash.zumiez.com. 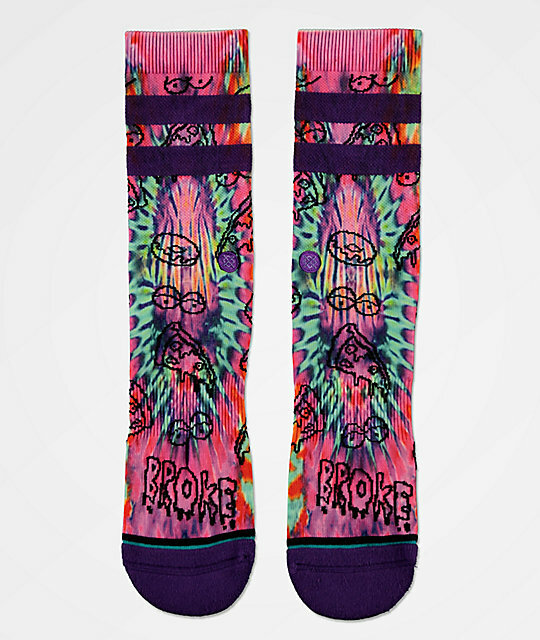 You may be broke as a joke, but at least your feet will look like a million bucks in the Broke Crew Socks from Stance. These unique socks from Stance come in a multicolored tie dye colorway and feature contrasting purple heels, toes, and two stripes at the athletic upper. 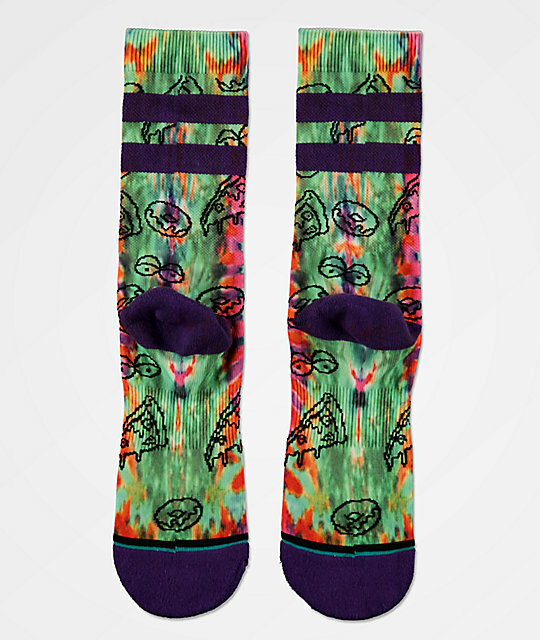 The design is made complete with jacquard knit graphics of eyes, donuts pizza and text that reads "Broke" near the toe, for a fun design from your favorite sock company. Broke Crew Socks from Stance. Sublimated tie dye, with jacquard knit graphics throughout.